I am appalled by new figures out today showing that unemployment in the constituency has risen for yet another consecutive month. The total number of unemployed claimants in Delyn in August 2018 was 1,035. This represents a rate of 3.2% of the economically active population aged 16-64. The equivalent UK claimant rate was 2.9%. The UK unemployment rate, which includes people not claiming benefits and is estimated from survey data, was 4.0% in May to July 2018. The number of claimants in Delyn constituency is 270 higher than August 2017 and 30 higher than July 2018. Today I met with representatives from the Trade Unions Congress (TUC) to pledge my support for a new charter. This charter sets out an agreed way in which employees will be supported, protected and guided throughout their employment, following a terminal diagnosis. 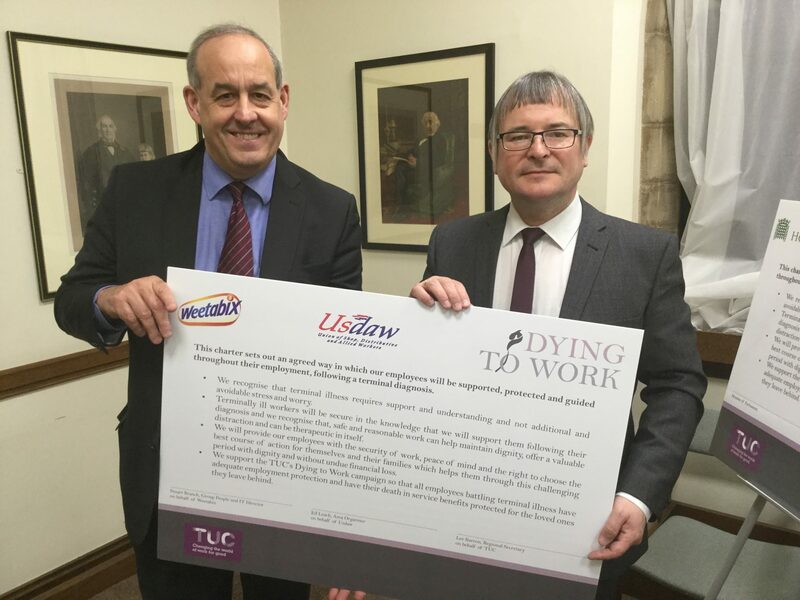 It is hoped that employers up and down the country will support this charter and I urge constituents to encourage their employers to join the ever growing numbers of businesses who are signatories.